Will resume shipping around 01/31/2017. 8.5 inches x 11 inches is perfect for keeping score, stats, track of players, and diagrams of plays. The notebook has a simulated leather cover with metal protective corners. It not only keeps score, but is a stylish look in keeping score. Perfect for keeping track of scores. 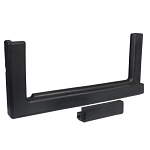 Ships quickly - usually same day and takes about 3-5 days to receive. 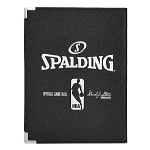 Competitive Edge Products, Inc. is an authorized distributor of the Spalding notebook. 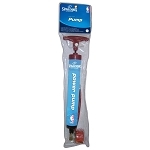 Q: You have other accessories for referees such as referee whistles and what about needles for inflating basketballs? A: Yes, we have both needles and whistles. 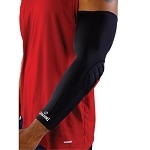 We also carry basketballs, and we carry this pad in the black pebbles style as well. 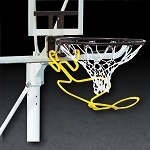 We carry replacement nets for rims also. 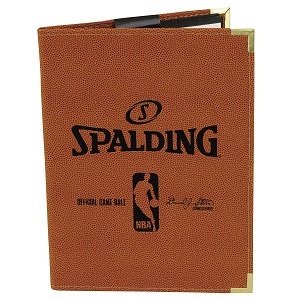 Fast Shipping: Orders for the Spalding 67-801 generally leave the warehouse within 1-2 business days.